Into the Abyss (Shaben, 2012) – This book is about a plane crash that occurred in the Canadian wilderness in 1984. 10 people were on board, 4 survived. The author is the daughter of one of the survivors. Shaben explores the life of each survivor before, during, and following the crash, essentially telling their whole life story intertwined with the story about the crash. She leads up to the crash, the factors playing into that fateful night, and then follows the investigation after the crash. It’s a very moving and emotional story and makes the reader ponder things such as living life, purpose, your personal journey. It shows how the survivors were impacted and how the each endeavored to make life count after surviving. A Summer Affair (Hilderbrand, 2008) – With each book of Hilderbrand’s I read, I fall more in love with her as an author. Her books are so real and she makes it easy to connect with the characters and get emotionally involved and invested in the events of the story. In A Summer Affair, Hilderbrand takes us on a journey with Claire as she loses herself, her morality, and almost her life, and then finds it again. It’s an investigation of morals and discovery of true family and love. The Blue Bistro (Hilderbrand, 2005)- I’ve had a hard time finding words about this book. It’s the most emotional of Hilderbrand’s that I’ve read. Such a simple story of a popular restaurant in it’s last season, a young girl looking for work, love, friendship. It has a different tone and setting than Hilderbrand’s other books, which was a nice change of pace since I’ve been reading her books a lot lately. Finding It (Carmack, 2013)- This is Carmack’s third book in her first series. I didn’t enjoy it as much as the previous two. As I first started I pondered just quitting because it was a little too much for me. This book follows a young adult on her journey through Europe trying to find herself, create a life apart from her family, and possibly find love. I found it frustrating as I followed her adventure and her dealings with her past, but in the end it came together and ended well. Summerland (Hilderbrand, 2012)- Elin Hilderbrand is becoming one of my favorite authors. I enjoy her stories of life on the island of Nantucket and the way she writes telling the same story/events through the points of views of different characters. Summerland is a story about loss, tragedy, and change. It tells the story of the island reeling over the tragic death of two teenagers. As the parents and friends search for answers they each take their own journey of recovery and finding a way to live without those they lost. Overall, it was very good and the ending was really emotional but the “big secret” the book was leading up to didn’t seem that shocking, so it was kind of a let down. The Good Luck Girls of Shipwreck Lane (Harms, 2013)- This is Harms first novel, and you can tell. The writing isn’t always very clear. But that can be overlooked as the rich story unfolds and the reader gets to know the depth of the characters. Three very different women find themselves unexpectedly sharing a life together. It is a simple and sweet novel about friendship, family, love, and living. What have you been reading lately? I always love new books suggestions! I only read ONE book this month. One. And it took me the entire month, every day, to finish it. Well, to be honest, I may not have read as much as I normally do because the hubby and I have started binge-watching “24”. I watched it all last summer, but he’s never seen it and we’re trying to watch all eight seasons before the new ones starts in May. So we watch one, two, five episodes a day… It’s so addicting! So the one book I read… One Bullet Away by Nathaniel Fick. It is an excruciatingly detailed account of Fick’s training to become an officer in the Marines, his deployment, and his time in Iraq right after 9/11. Every. Single. Detail. He also expresses much distrust in the combat leaders and provides some eye-opening glimpses into how combat decisions are made and what life is really like out there. For someone who is very interested in war stories, it’s spectacular. If you’re not, it’s not a fun read. I fall somewhere in between, so I pressed forward in it, even though it was hard sometimes. I am glad I did because the last few chapters, which he titles “aftermath”, is an inspiring and emotional account of his feelings and experience once returning home. Since I have only been writing about books as I currently read them, I thought I would go back and create lists from what I read in 2011 and 2012. August of 2011 is when I graduated with my master’s degree and was finally able to read for fun again, so I started keeping a record of every book I read. These lists are alphabetized by author and include title, author, date published, fiction/non-fiction, and, if applicable, the series. I have also made note of the books that I especially liked. This month I read five books, mainly because I subbed for three days. Substitute teaching at a high school lends itself to having lots of time to read! Looking for Me– Hoffman (2013, Fiction): Looking for Me follows main character Teddi Overman as she tries to make a new life for herself in Charleston, away from the family farm where she grew up and the tragedies that befell her there. It’s a story of love, loss, hope, and restoration as Teddi deals with her past and moves forward to the future. I found it hard to follow sometimes as it jumped around from past to present, but it is a great story. Just be prepared for some sad parts! Beautiful Day– Hilderbrand (2013, Fiction): Hilderbrand’s newest novel reminded me of a book I read back in October, Seating Arrangements. Both are told in a span of a few days and are about a daighter’s wedding, told from various perspectives. But Beautiful Day is by far the better of the two. There are many characters, which makes it sometimes hard to keep everyone straight, but Hilderbrand does a good job and occasionally summarizing what the characters are feeling. So much is happening and you get various point of views on each event. It was a very fun book with lots of stories and lots of drama! Escape– Jessop (2006, Non-fiction): After reading Prophet’s Prey in November, I wanted to read even more about Jeffs and the FLDS. Escape is the story of Carolyn Jessop, who at age 18 was given in marriage to 50-year-old Meril Jessop, one of the more powerful men in the FLDS community. She gave birth to eight children while married to him, and eventually was able to escape the abusive and freedom-less marriage and community. Her story is both gripping and heartbreaking and sheds light on the FLDS and abusive religion as a whole. As a warning, there are some very graphic parts about human and animal abuse, don’t read if you don’t feel you can handle those. But it is worth those hard parts to be part of the story of this very strong and courageous woman who overcame so much to make a better life for her and her children. Takedown Twenty– Evanovich (2013, Fiction): This is the 20th book is the Stephanie Plum saga. I always enjoy these books about bounty hunter Stephanie and her sidekick Lula as they solve mysteries in their New Jersey town and attempt to takedown the bad guys, while Stephanie tries to decide between the two men in her life- Ranger and Morelli. These books are light and fun and sometimes suspenseful. I look forward to 21! The Husband’s Secret– Moriarty (2013, Fiction): I had heard so many great things about this book, so going in my expectations were really high, and it didn’t quite meet them. But, it was still a really good, intriguing story about three families as their lives collide through tragedy. It is suspenseful, emotional, and intense as the three journeys unfold. I read quite a variety this month… non-fiction, new adult fiction, and Christian fiction. Prophet’s Prey– Sam Brower (Non-fiction, 2011) : Fascinating, and sickening, look into Warren Jeffs, the FLDS, and polygamy. The author was a private investigator who spent many years looking into this religion and knew the ins and outs and had first-hand sources. But, he isn’t an author, and that made it hard to read at times. Overly detailed, repetitive, confusing timeline, hard to keep track of everyone involved in the story. But, even with the writing issues, it is still an excellent source for information on the church and Jeffs. In the book, Brower makes reference to a few other books written by former FLDS members that I hope to read soon. Losing It– Cora Carmack (Fiction, 2012): This book is written by a best friend of one of my best friends. So, I had to read it, even though it’s a bit on the scandalous side. I actually read it one night. It was a very fun story with some great characters that are so easy to connect with and care about. Faking It– Cora Carmack (Fiction, 2013): Carmack’s second book. Again, scandalous, but fun, sweet, and funny. Really enjoyed the story. Fifteen Minutes– Karen Kingsbury (Fiction, 2013): As I mentioned in September’s post, I am a huge fan of Kingsbury. Her books are so meaningful and draw you in to the story in a way that I’ve never experienced before. Fifteen Minutes is no different. Though, I would say it’s not my favorite book of hers. It felt kind of fake/contrived, especially with multiple references to pop culture. But it’s an interesting look into fame and family and following God’s leading. This month I only read two books, which is low for me. I tend to average one per week, or more. But this month I decided to start watching Scandal. I know, I’m a little late to the party on that one, and I’m a big Grey’s Anatomy and Private Practice fan so it would have made sense for me to watch Shondaland’s newest addition. But I was scared. It seemed really intense. So I put it off, and off, and off… Until one day in October I was bored and Netflix was there taunting me, luring me away from all the productive things I should be doing. I will admit, I’m a binge-watcher. Once I find a show on Netflix to watch, I watch until done. So far I’ve done this with The Office, 24, How I Met Your Mother, Breaking Bad, Parks & Recreation, Undercover Boss, Arrested Development, and some others that I don’t care to admit to. But Scandal drew me in more than any of those other shows. I COULD NOT stop watching. If you haven’t watched it, do. But I have warned you. You won’t be able to stop. So, the two books I read this month…. 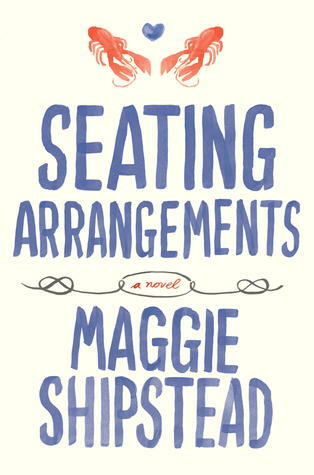 Seating Arrangements– Maggie Shipstead (Fiction, 2012): It took me awhile to get through this one. The entire book covers a span of only three days, so each section is a very long and detailed account of each day. It wasn’t a bad book, I did enjoy it somewhat, just kind of boring, And once I was finished I wasn’t sure what the point was, though I think the theme may have been centered on this quote that stood out to me from page 91, “When does youth end?”. It really seemed like a book that you would read in English class and analyze. 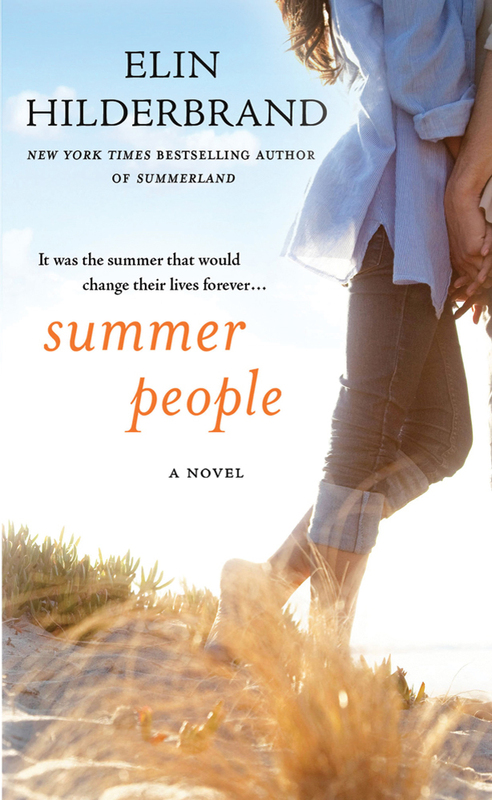 Summer People– Elin Hilderbrand (Fiction, 2003): I discovered Hilderbrand through Bachelor “star” Ashley Spivey who tweets about books she has been reading (and usually has some really good recommendations!). This book was such a fun, light read with some interesting plot twists. It was perfect for bedtime reading. I really enjoyed it and have already checked out a couple more of her books from the library.